Jacob & Wilhelm Grimm. Arthur Rackham, illus. Margaret Taylor, trans. 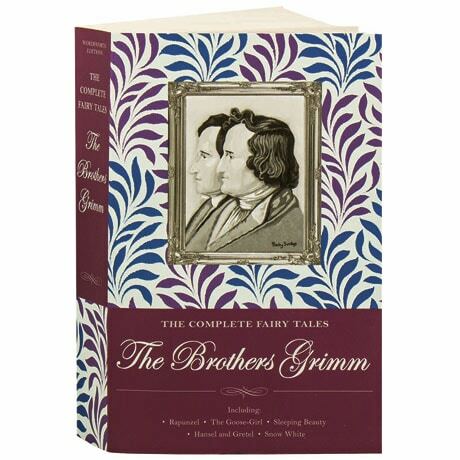 Jacob Grimm (1785-1863) and his brother Wilhelm (1786-1859) were philologists and folklorists who collected hundreds of popular tales from those who told them, in the process creating an essential canon that includes some of the best-known stories in the Western world. This treasury collects all 200 tales and 10 legends catalogued by the Grimms, presented here in the 1884 translation by Margaret Taylor, with superb black and white illustrations by Arthur Rackham. Along with such childhood favorites as "Rapunzel," "The Goose-Girl," "Sleeping Beauty," "Hansel and Gretel," and "Snow White," it includes darker tales like "Death's Messengers" that deserve to be better known.